Howard M. Resh, Ph.D., is a recognized authority worldwide on hydroponics. 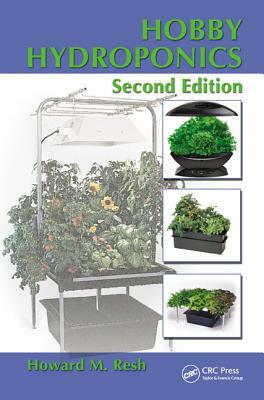 His website www.howardresh.com presents information on hydroponic culture of various vegetable crops. In addition, he has written five books on hydroponic culture both for commercial growers and backyard hobbyists. The call of commercial hydroponics has taken him to many projects in countries including Venezuela, Taiwan, Saudi Arabia, the United States, and in 1999 to Anguilla, British West Indies, in the Eastern Caribbean, where he is still today. Resh continues to do consulting on many unique hydroponic greenhouse operations, including Lufa Farms in Montreal, Canada, where he established the growing techniques and hydroponic systems for a rooftop hydroponic greenhouse in downtown Montreal.